Take the modular tests on a 125cc (STANDARD) machine. (We use Honda CG125′s & Yamaha YBR/SR125’s). 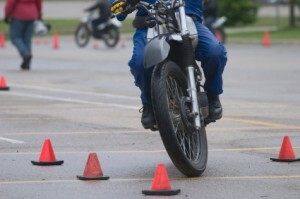 The A1 Motorcycle Licence is available for people aged 17 or above who only want to ride a scooter or motorbike with a maximum engine size of up to 125cc not exceeding 11KWH.